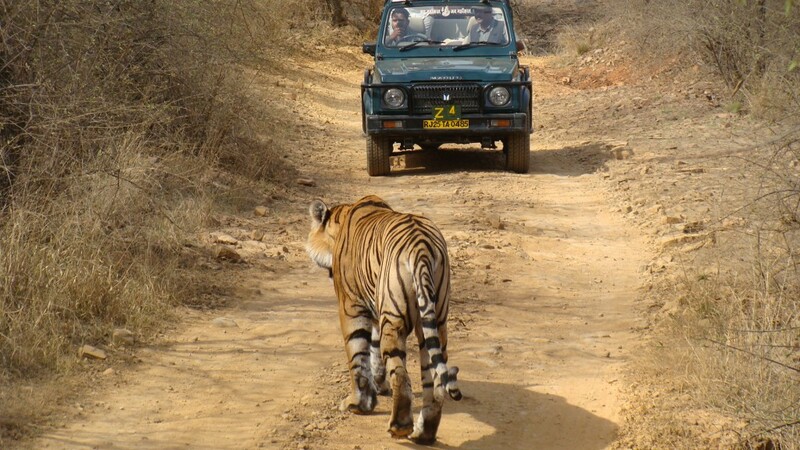 Mantra Wild Big 5 is the Ultimate India Safari Adventure. For lovers of animals, the wilderness and safaris, this is definitely the experience for you. There is a misconception that in order to see the Big 5 animals, you need to go to Africa. The Big 5 game was coined by colonial hunters and refers to the most difficult animals to hunt on foot. These animals are lion (India has those too!) or tiger, buffalo, leopard and rhinoceros. All of these can be found in India and probably at half the cost of a trip to Africa! India’s landscape and vegetation changes with each wildlife reserve you visit. You will discover Corbett National Park, at the foothills of the Mighty Himalayas, the desert reserve of Ranthambhore Tiger Reserve, The bamboo and teak forests of Central Reserves – Bandhavgarh, Kanha and Pench and the wet grasslands of Kaziranga in the mysterious north east state of Assam. In between, a visit to the royal city of Jaipur and city tours of Delhi so that you discover the local cultures and history of of India’s gems. Click Here to Read Client, Keith Davey’s Trip Report. After breakfast, leave for Ranthambore. On arrival check into hotel. Ranthambore, Wild Life Park, a tiger reserve The Ranthambhore National Park stretches across an area of 1,334 sq km on the eastern edge of the Thar Desert. Once the hunting grounds of the erstwhile ruling family of Jaipur, today it is one of the last sanctuaries of the big cat, the Royal Bengal Tiger. Ranthambhore is the favourite haunt of wildlife buffs and professional wildlife photographers from around the world who come to see tigers, panthers, wild cats, hyena, jackal, marsh crocodile, wild boar, bears, many species of deer and a rich birdlife of over 300 species, including the great Indian horned owl. In the afternoon, visit the park in Jeep or Canter. After breakfast drive to Jaipur. On arrival check in a hotel. 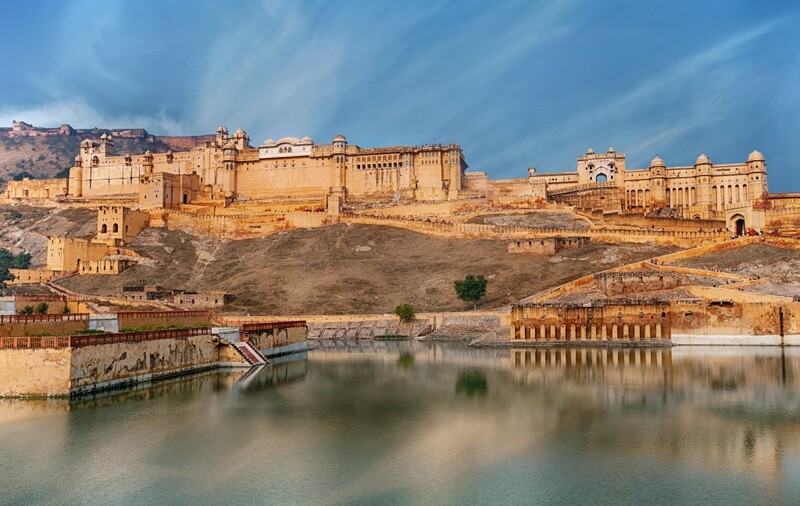 The capital of Rajasthan is popularly known as the ‘pink city’ because of the ochre-pink hue of its old buildings and crenellated city walls. The Rajputs considered pink to be a colour associated with hospitality, and are reputed to have daubed the city in preparation for the visit of Britain`s Prince Alfred in 1853. This tradition and Jaipur’s welcoming, relaxed air continue to this day. Tour of Jaipur – Visit Maharaja`s City Palace, the Observatory & Ram Niwas Gardens. Drive past the most striking sight, the stunning artistry of the five-storey facade of the Hawa Mahal, or Palace of the Winds & through the pink rose residential & business areas. After breakfast, transfer to airport for a Nagpur flight. On arrival drive to Kanha. On arrival check-into hotel. After breakfast enjoy a full day game drive viewing the Jungle. Rest of the day is at leisure. After breakfast drive to Bandavgarh National Park. Arrive at Bandavgarh in the evening. Check into hotel. After breakfast, enjoy jeep safari in the park during morning and evening. Drive to Khajuraho and on arrival, check-into hotel. Khajuraho is known the world over for its temples, architecture and sculpture. Evening tour of the age-old temples. The construction of these Temples are thousand-year old took a little over two centuries, in terms of architecture of these temples, they form the high peak of the north Indian ‘nagara’ style. Of the 85 temples believed to have been built between the 9th and 12th centuries only 20 have survived, many in splendid condition, others having given way to the ravages of time and nature. After breakfast, morning free on own. Later drive to airport to board flight to Delhi.. On arrival in Agra, check into hotel and relax for the day. Morning breakfast. After breakfast proceed to Corbett. Evening walk in the surrounding forest and Riverside to observe the flora and fauna of the area. Evening tea, Campfire and dinner, Dinner and Overnight at the Hotel. Early morning breakfast. After breakfast go for Game drive in the National Park. Evening Elephant ride to view the wildlife in the area. Back to hotel. Early morning leave for Elephant ride / jeep safari to view the wildlife in the area. Afternoon free to visit the local NGO. 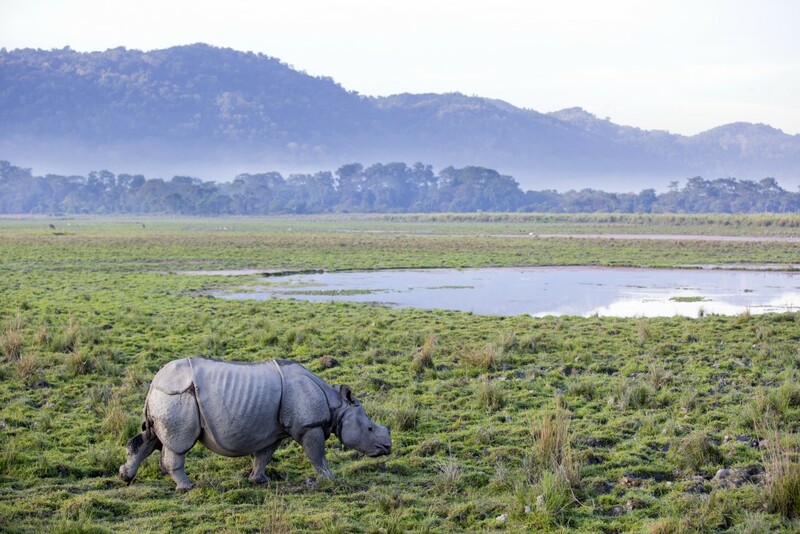 After breakfast, transfer to the airport to catch an onward flight from Delhi-Guwahati in the morning and transfer to Kaziranga National Park. In the evening enjoy dinner watching the tribal or Bihu dance. After breakfast explore central Range of Kaziranga National Park on Elephant Safari. On return explore the eastern range on a jeep. Return for lunch and proceed to Western Range of Kaziranga National Park on jeep. After breakfast drive to Guwahati to fly back to Delhi to catch international flight.